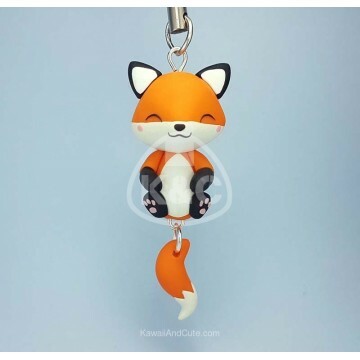 Cute Design inspired in a cute Fox for keychain o cellphone strap. These pieces are handmade with care and love. All the details in the piece are made with polymer clay, even the smallest details such as eyes, gills, glitters, mouth, tail... Nothing is painted. It is not made with molds. This makes each piece unique and exclusive; therefore, there may be very small differences with the image provided.